Albert Dupontel appears in, writes and directs this epic drama adapted from the best-selling, award-winning novel by Pierre Lemaitre. As star and narrator, Dupontel plays Albert Maillard, a rank-and-file French infantryman battling to survive trench warfare as the First World War comes to its conclusion. In a horrific final sortie, Maillard is almost buried alive by debris and his comrade Édouard Péricourt (Nahuel Pérez Biscayart) is horribly disfigured after being hit by mortar fire. 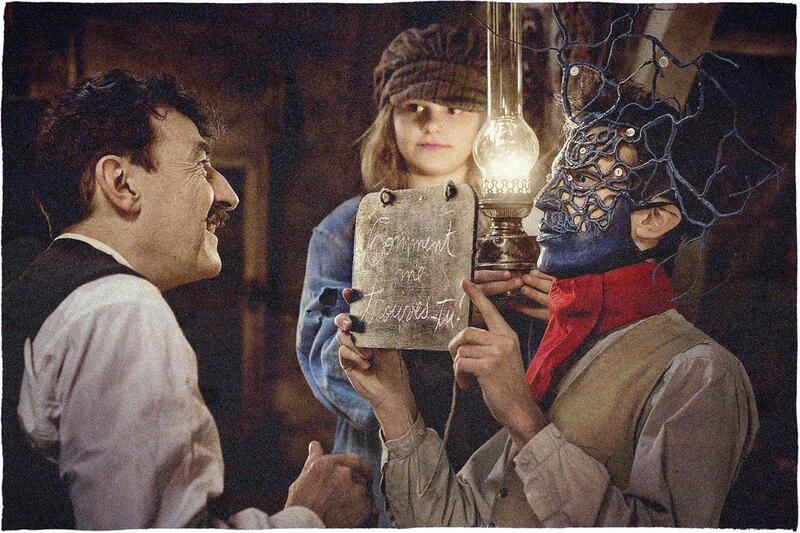 Péricourt becomes addicted to morphine during his convalescence and, living behind elaborate masks to hide his disfigurement, concocts a plan with Maillard to sell phoney monuments to French towns honouring their dead; an undertaking that will prove as dangerous as it is stunning. This is a cinematic triumph, a little bit Beauty and the Beast, a little bit Paths of Glory, a little bit Phantom of the Opera, and a whole lot of satisfying storytelling and spectacle.